Soledad O’Brien, the award-winning former anchor and special correspondent for CNN, will be the keynote speaker for the 2015 Expressions of Kings Legacy event at Rochester Institute of Technology. She will open the event, taking place at noon on Thursday, Jan. 29, in RIT’s Gordon Field House and Activities Center. This is a ticketed event, free and open to the campus and Rochester communities. Registration is required and can be done online. More than 2,000 people are expected for the event, similar to past years’ Expressions of King’s Legacy programs. Doors will open at 10:30 a.m. at the Field House. Introductions by campus leaders and musical performances by musicians and poets will take place from noon to 12:30 p.m. O’Brien will begin her address shortly afterward. The program will conclude at 2 p.m.
O’Brien, best known as a news anchor with CNN, has also produced news, documentaries and interviews for MSNBC, HBO and Al Jazeera. She has received numerous awards for outstanding journalism and her humanitarian efforts including the George Foster Peabody Award, Journalist of the Year designation in 2010 by the National Association of Black Journalists and the first recipient of the Soledad O’Brien Freedom’s Voice Award from the Morehouse School of Medicine. Some of her most thought-provoking work was about diversity, specifically first-person experiences detailed in the Black in America and Latino in America series programs, the recent documentary, Bringing the War Home and coverage of the aftermath of Hurricane Katrina. O’Brien will be joined by internationally renowned violinist Kelly Hall-Tompkins and champion slam poets Dominique Christina and Denice Frohman. All artists will participate at the noontime Expressions ceremony, as well as in separate performances, also free, later that same evening. They will be featured in “An Evening of Music and Poetry,” at 7 p.m. in the Al Davis Cafeteria in RIT’s Student Alumni Union. Kelly Hall-Tompkins’ orchestral career includes performances in Carnegie Hall, Lincoln Center and with the New York Philharmonic. 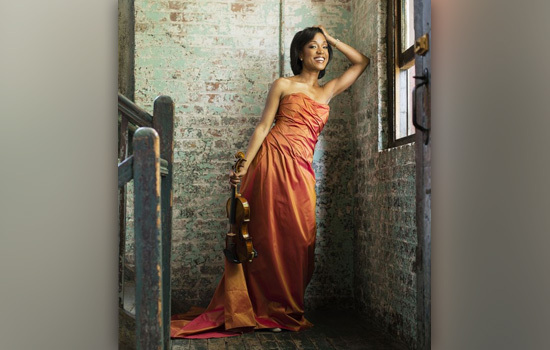 She also has held the prestigious role as co-concertmaster of the Philadelphia-based Black Pearl Chamber Orchestra and, in 2007, concertmaster of the Chamber Orchestra of New York. She founded and directs Music Kitchen—Food for the Soul, which bring chamber music performances to New York City homeless shelters. Dominique Christina and Denice Frohman will perform as Sister Outsider Poetry, and their current national tour marks the first time the two Women of the World Poetry Slam champions have paired up.